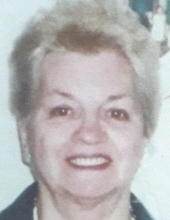 Frances M. Kitts 78 of Aberdeen passed away peacefully on April 5, 2019. Born Frances M. Maynarich in West Virginia on Feb. 5, 1941. She is survived by her son Jeff Taylor, Sr. and wife Judith, son Mitchell Lawson and wife Glady. Grandson Jeff Taylor, Jr. and his loving partner Mary Jane Devonshire, Grandson Michael Lawson, Granddaughter Christyna Arranda and husband Jose. Great grandchildren, Jayden and Gage Taylor, Armando, Miguel and Gabe Arranda. She will be laid to rest at Harford Memorial Gardens. To send flowers or a remembrance gift to the family of Frances M. Kitts, please visit our Tribute Store. "Email Address" would like to share the life celebration of Frances M. Kitts. Click on the "link" to go to share a favorite memory or leave a condolence message for the family.